Unlock the Potential of Food – here’s what FOOD can do for YOU! As dietitians, we are passionate about the potential of food and its connection to health! For March – Nutrition Month, and all year long, celebrate these benefits of delicious, wholesome, nourishing food. Food can FUEL your body and mind. According to the Dietitians of Canada, almost half of Canadians say that eating a balanced diet is challenging for them because they are so busy, and nearly 30% turn to snacks to stay fuelled. The right food choices will not only energize you but also maximize your creativity and productivity! For a healthy snack, we love combining produce with protein – try egg and avocado toast, peanut butter on apple slices, or tuna with veggie sticks. Work with me to create wellness foodservice menus or to build a positive nutrition workplace environment. Food can help kids DISCOVER healthy eating. Did you know that 38% of parents rarely or never let their child prepare a meal or snack? Let’s get kids in the kitchen! Kids are more likely to eat what they’ve made, so take the opportunity to help kids discover and be adventurous with food. Find a recipe that you can make together. Try new foods and flavours. Shop for groceries together too. Food can PREVENT health problems. Healthy eating, being active and living smoke-free together can prevent about 80% of premature stroke and heart disease. There are many different “diets” or “eating patterns” such as the Mediterranean Diet, the DASH diet and the MIND diet. Find out more about these diets at my upcoming 11th annual Nutrition for NON-Nutritionists course on April 18th. We’ll look beyond the fad diets and gimmicks to deliver reliable, life-changing advice. Food can HEAL. Dietitians believe in and understand the potential of food to help you heal and feel your best. Work with a dietitian to heal during illness and enhance your health. As the trusted food and nutrition experts, dietitians can help you: manage your blood sugar levels, lower your blood pressure, lower your blood cholesterol, manage the side effects of cancer care treatments, navigate a gluten-free diet, reach / maintain a healthy weight, and stay nourished when eating/swallowing is a challenge. Food can BRING US TOGETHER. Eating together has benefits for everyone! Children who eat with their families tend to eat more veggies and fruit, consume fewer less sugar-sweetened drinks, have better academic performance, are at a lower risk for being overweight and have a lower chance of developing eating disorders. Teens who eat with their families get better grades and are less likely to smoke, use drugs or alcohol, or engage in serious fights. Adults who eat with friends and family eat more vegetables and fruit, drink less pop and have a healthier weight. Older adults who eat as part of a group setting have better overall nutrient intakes and lower rates of malnutrition. Whether it’s breakfast, brunch, lunch, dinner, snack or yes, even dessert – take time to sit down and enjoy food in the company of others! Should You Be Worried About Lectins? I love eating different grains and beans. In fact, one of my favourite meals is lentils and rice. But there’s a growing buzz about lectins in these foods. Are lectins the new gluten? Here are 5 things you need to know. 1. Lectins are a family of proteins that bind to carbohydrates. Lectins are found in all foods, but are most concentrated in legumes and grains. Uncooked, raw legumes such as red and white kidney beans are one of the biggest sources of lectins. Lectins help protect plants from attacks by pests and insects. 2. Lectins aren’t easily digested, so they pass through the stomach and into the gut where they may “stick” to the gut wall. Eating high amounts of lectins may damage the lining of the gut, potentially causing digestive issues. For example, eating RAW or undercooked or improperly cooked kidney beans can lead to vomiting, diarrhea and abdominal pain. 3. Some people, such as those with Crohn’s disease or inflammatory bowel syndrome, may be more sensitive to lectins. If you have these conditions, speak to a Registered Dietitian to determine the amount of lectins that will minimize any symptoms or flare-ups. 4. Cooking eliminates almost all of the lectins in foods. Boiling legumes and grains in water for example is an easy way to get rid of lectins. Soaking beans, sprouting seeds and grains, and fermenting foods are other ways to lower the lectin content of foods. Canned beans have very low lectin levels due to the canning process. 5. Remember that many lectin-containing foods also provide important nutrients. Grains offer B vitamins, iron and fibre. 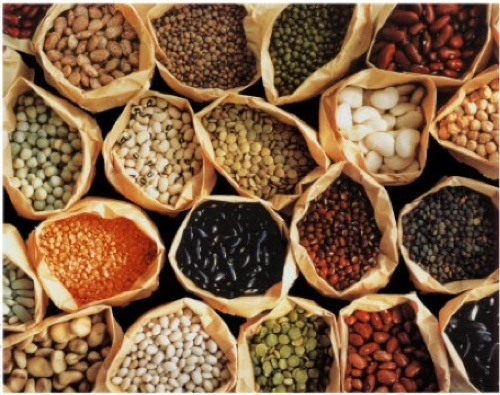 Legumes offer protein, fibre, iron and zinc. So don’t worry about lectins. Instead, cook your grains and legumes, and enjoy! Watermelon is one of my go-to fruits for the summer! Team it up with some lentils, feta cheese and mint – and you’ve got a beautiful, refreshing, protein-packed salad! 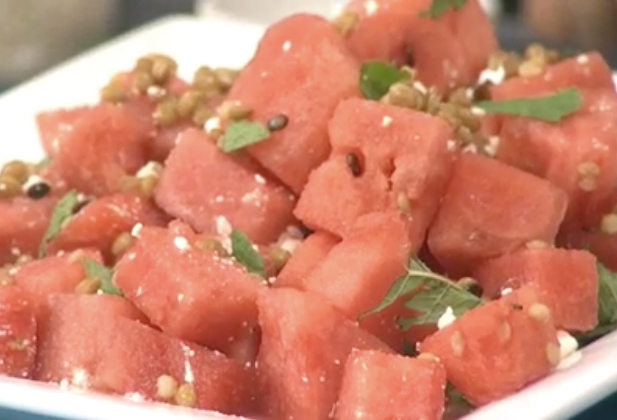 Here’s the Lentil Watermelon Salad that I featured on my TV interview with CHCH Morning Live. 1. In a large salad bowl, combine the watermelon, lentils, half of the feta and half of the mint. 2. In a small container, whisk together the olive oil and vinegar. Season with salt and pepper to taste. 3. Pour olive oil mixture over the watermelon mixture. Toss gently to combine. 4. Top with remaining feta and mint before serving. From health to wellness, here are 7 fun facts about oranges & lemons. 1. 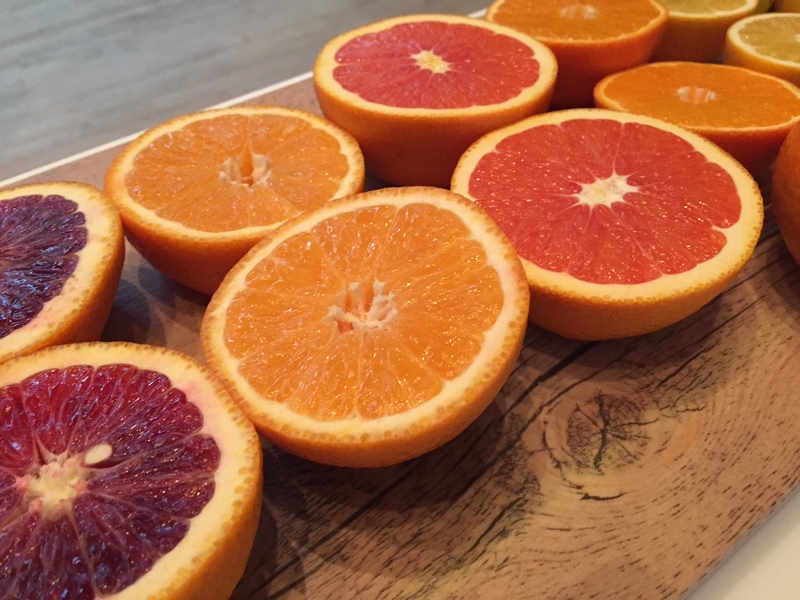 Citrus contains flavonoids, a special type of plant chemical that can be beneficial against heart disease and cancer. 2. Just one orange supplies over 100% of your daily quota for vitamin C, not to mention other nutrients such as fibre and potassium. 3. A Meyer lemon is a cross between a mandarin orange and a lemon. Meyer lemons have a bright, thin skin and are sweeter / less acidic than regular lemons. 4. Citrus peel is packed with an essential oil called linalool, which might help relieve stress. 5. Hot water can actually extract flavonoids from the citrus peel. So go ahead and enjoy a cup of hot water with lemon! – Research from Master Chefs at Johnson Wales University, July 10, 2014. – Benavente-Garcia O and Castillo J. Update on uses and properties of citrus flavonoids: new findings in anticancer, cardiovascular and anti-inflammatory activity. J Agric Food Chem 2008, Aug 13;56(15):6185-6205. – Xu GH1, Chen JC, Liu DH, Zhang YH, Jiang P, Ye XQ. Minerals, phenolic compounds, and antioxidant capacity of citrus peel extract by hot water. J Food Sci. 2008 Jan;73(1):C11-8. Disclosure: I was invited to speak at an event featuring citrus fruit, however this is not a sponsored post. It’s not always easy to find a nutrition book that’s easy to read and backed by credible research. But Sygo does just that. In Unmasking Superfoods, Sygo separates the truth from the hype behind some of today’s superfoods such as acai, noni, quinoa and the increasingly popular coconut oil. She also gives a shout out to kiwi, pistachios and mussels, calling them underappreciated superfoods. In another chapter of the book, Sygo offers a sound perspective on beef, eggs, potatoes and other foods which she feels have been given a bad rap. For each superfood, you’ll learn about the backstory, the nutritional profile, the science-based health impacts, and finally the bottom line. 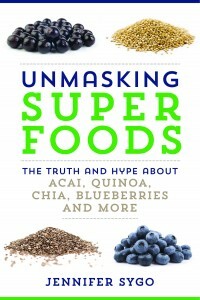 Unmasking Superfoods is literally a mini nutrition encyclopedia for consumers and health professionals alike. It’s a keeper on my bookshelf.